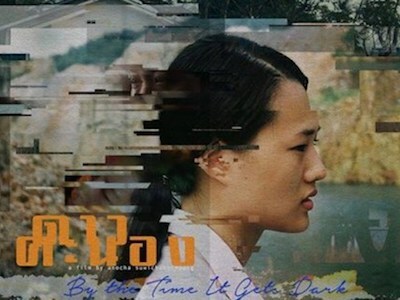 Homeflick, which screens independent films in Nakhon Ratchasima (in Thailand's Isan region), has organised an event this weekend: หนังควบ (a double bill), with By The Time It Gets Dark showing on Saturday and Motel Mist on Sunday. Both screenings are at the city's Five Stars Multiplex cinema. By The Time It Gets Dark, directed by Anocha Suwichakornpong (whose first film was the superb Mundane History), was shown last month at the 13th International Conference on Thai Studies in Chiang Mai. After the Homeflick screening, it will also be shown at Bangkok's Alliance Francaise on 30th August, followed by a Q&A with Anocha. 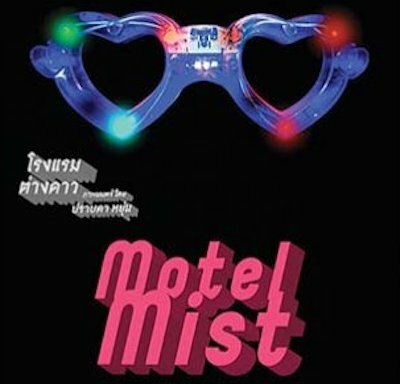 Motel Mist, the directorial debut of writer Prabda Yoon, was dropped by its original distributor (TrueVisions) the day before its release date, and subsequently released independently. It was also shown at the Play Me cafe and bar in Chon Buri, on 6th May.